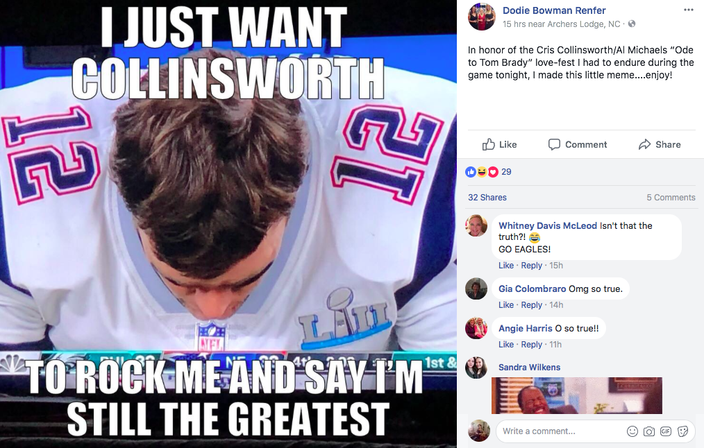 Because this is Philadelphia, one of the driving battle cries of the Eagles' 41-33 victory in Super Bowl LII was — you guessed it — "F*** Tom Brady." 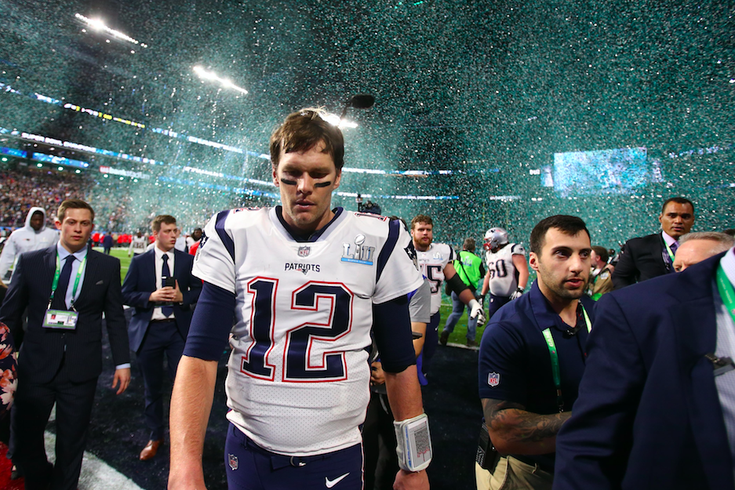 Look, there is a lifetime supply of goodwill to go around from this moment in Philadelphia's history, but a championship win over the New England Patriots would not be complete without reveling in 40-year-old Tom Brady's sadness. You might imagine fans are getting the most out of images like the collection you see below. That's all pretty fantastic, but let's be real, Brady's pre-game outfit was going to get him killed online regardless of the game's outcome. Consensus: Brady dressed like Inspector Gadget got a live-action role in a "Zoolander" movie. Is this mean? 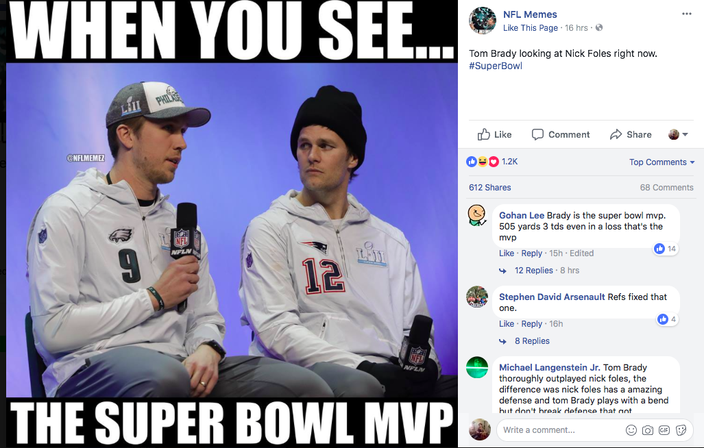 Oh, right, Brady couldn't even be bothered to shake Super Bowl MVP Nick Foles' hand after the game (although sure, he did talk briefly with Fletcher Cox). 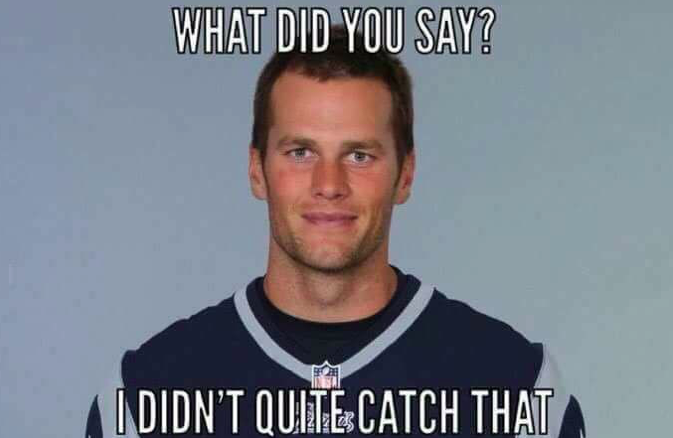 The only redeeming quality of Brady's post-game behavior was the graciousness of his wife. Enjoy this photo, Eagles fans. Your team made Tom Brady cry. OK, how about a few more?